Drone insurance: do you need it? If you want to protect your own gear in the event of a crash, as well as protect yourself from liability in the event of crashing into something else (or someone else), then you do. Unlike car insurance, drone insurance is not a legal requirement in the U.S. But, having it could save you a lot of headache later, should you be on the hook for something like your drone downing power lines, or just getting reimbursed for your own drone crashing into your pool. And while you almost certainly want insurance for your business, hobby pilots should consider getting it too. IDRA: The International Drone Racing Association (IDRA) offers liability insurance for drone pilots that has no drone limit, no deductibles, and worldwide coverage. The $1 million policy costs $265 annually and activates within 24 hours of purchase. The policy is valid for 1 year, covering all potential liabilities from recreational flying, racing, and training. 2. Equipment insurance through the manufacturer: Manufactures including DJI and Yuneec offer equipment insurance for an additional fee, beyond the standard warranty. DJI’s drone protection plan, DJI Care Refresh, covers accidental damage for an annual fee. Fees vary by drone, but typically starts at around $100. Yuneec offers a similar warranty program called Yuneec Extended Service. 3. Homeowners insurance: If you own a home, your drone may actually already be covered under your homeowners insurance policy. Homeowners insurance policies typically cover liability, no-fault medical coverage and theft or loss. If your policy includes the words ‘RC or model aircraft,’ then your drone is covered in case your drone crashes and injures someone on your property, or if your property is otherwise damaged. 4. Hourly on-demand drone insurance: Don’t want to purchase an expensive liability policy if you aren’t flying frequently? On-demand drone insurance can be handy for pilots who don’t want to pay a huge fee upfront or fly less frequently. Verifly is the most widely-known provider of on-demand drone insurance, offering up to $5 million in drone insurance starting at $10/hour. To use it, pilots just log their flight on Verifly’s mobile app, pay, and go fly. Note that Verifly offers liability — not hull — insurance. 5. Organizational insurance such as through the AMA: You may already have drone insurance if you belong to a drone organization. The Academy of Model Aeronautics, which has a $75 annual membership fee, says its insurance plan covers a $2.5 million liability, $25,000 in medical coverage and $1,000 in fire and theft coverage. Do you have an insurance plan for your drone? Would you recommend one? Leave a comment with your recommendations below! Buying drone insurance is great advice and nice to see there are options for buying it. Hopefully more companies will start covering drones also. Contact uvinsurance.com, these guys are backed by Lloyd’s of London and offer rates 50% less than anyone else, they have an online rate calculator in some states you can get a policy on line. So I was looking at some topics on drone insurance myself, and it’s a topic that might not be on many people’s minds but it should be. This is an unmanned aerial vehicle flying at high speeds and is relatively big enough to hurt someone if it crashes into them. 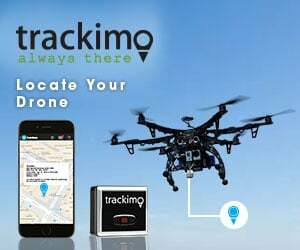 I was looking into some drones myself and found some great resources ( https://fitsmallbusiness.com/drone-insurance/ ), such as that one which states it’s $750 a year per year, per drone. There’s even on demand/hourly insurance which is mentioned in this article one can get which is pretty convenient. Just my two cents for anyone who’s interested.